Set several years after the end of Risen, raging titans have devastated the world and pushed humanity to the brink of existence. Subsequently, monstrous creatures have risen from the watery depths of the sea and their attacks have brought all seafaring to a grinding halt. The hero, now a member of the Inquisition, is sent out to find out how to stop the chaos caused by these creatures from the deep. His quest begins with rumors that the pirates who frequent the southern islands are the only ones who know a way to get rid of the creatures once and for all and end their reign of terror. With an all-new pirate-based theme, Risen 2: Dark Waters aims to combine the most loved classic RPG gameplay mechanics of the original Risen with a fresh theme and setting on a huge variety of themed island locales. 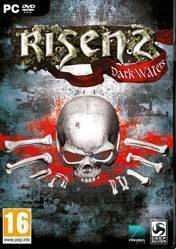 A third-person role-playing game set in a dark and gritty universe, Risen 2: Dark Waters maintains the most immersive features of the original Risen, with multiple approaches to every challenge allowing players to shape the game world based on their own decisions. These choices will serve to unlock new paths, features and additional skills for the character. The &#34;legacy&#34; of the excellent Gothic !